I have been running the software for over a week now. With it being winter right now in Iowa, it gets dark well before I arrive home from work around 6PM. 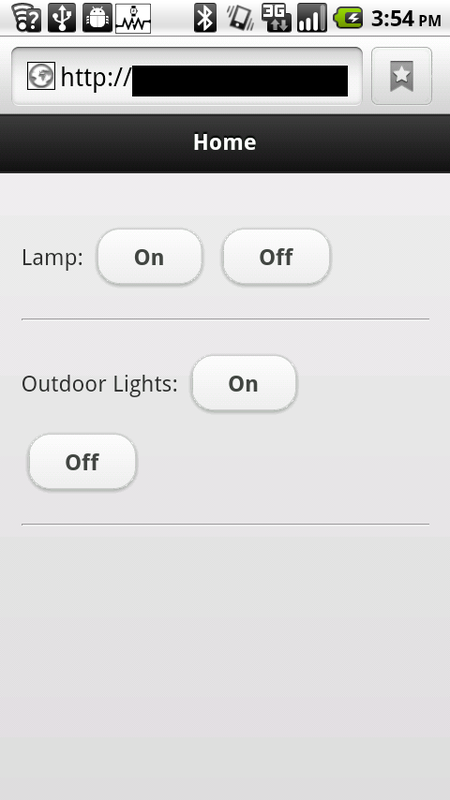 Using my mobile phone to be able to turn on the outdoor lights is very convenient. The experience is similar to my automatic garage door opener: drive up to drive way, press button to open garage door, and press button to turn on outside lights. I plan to develop a more advanced home automation system, but this simple system has proven itself to be useful. In addition to the webLightSwitch project page, you can find the source code on GitHub and a video demonstration on YouTube.